The Fitness Mad 1-inch weight plate -2.5kg can be used for a wide range of dumbbell and medicine ball type exercises. It is the Olympic style plate with grey Hammertone finish which fits 1-inch (25.4mm) bars. The plate is made from cast iron and comes with double handles that enable easy change. 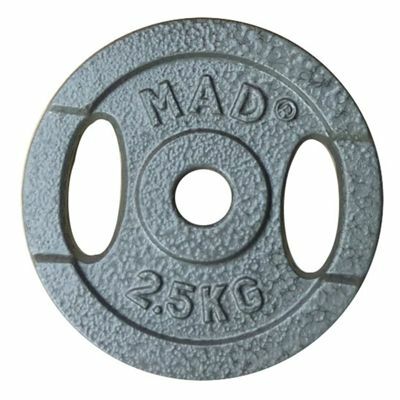 for submitting product review about Fitness Mad 1 Inch Weight Plate - 2.5kg.